The children experience nature in many ways. They are given the responsibility to care for a wide range of animals, learn how to grow and cook with fresh produce planted on site, and develop practical skills in repairing animal houses – these are just some of the activities children can do when attending Change of Scene. We are delighted to have awarded a number of grants to Change of Scene for Horticultural equipment and training, to support an AQA Unit Award scheme focused on outdoor practical learning, as well as core costs in order to maintain the 16 acre small holding, to name but a few. To date, the charity has provided support to the 155 children that have attended sessions, and assisted 86 disadvantaged children to return to education and more promising futures. Katie Owen, our Grants Officer was delighted to spend a day volunteering at this Farnham based charity. 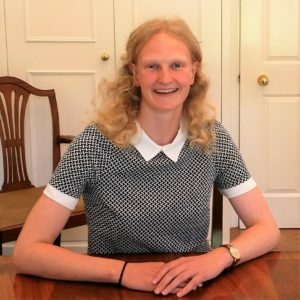 “Whilst I need no introduction to Change of Scene; choosing to volunteer for the day gave me an even deeper understanding of the life changing impact this great project can have on the young people that attend. Rolling up my sleeves, I got stuck in to a range of tasks over the day from jarring honey to mucking out Yoghurt, the goat. I even bumped in to the High Sheriff, Jim Glover on his visit to the site! 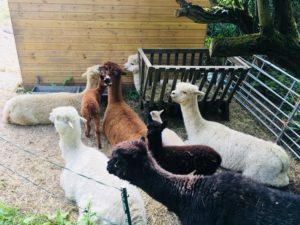 In the afternoon ex-attendees of the project visited to see the baby Alpacas and it was through this experience I took note of the lasting bond the project had forged between the young people, the environment and the support workers.